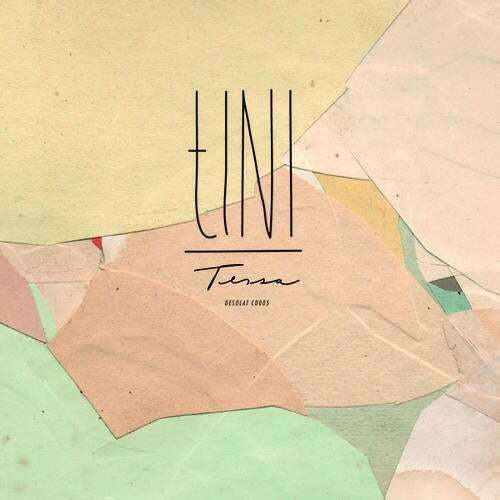 We are proud to present the debut album from tINI, an integral member of the Desolat family since 2009. Her album is named Tessa, after a music-loving friend who supported her transformation as a producer and DJ. Its not only islands that need to be travelled to: developing a sound is a true journey, and ones changing environments naturally play a role in that evolution. tINI, formerly of Munich, now resides in Berlin. Her version of house music is still representative of her electrifying, wired-up DJ sets, but theres a new spaciousness and urban gleam to these moods, filtered through the more laid back, surreal atmospheres of the island of Ibiza, where the majority of the album was produced. Tessa kicks off with Divided as a statement of intent: this is no formulaic house music, but rather something personal and idiosyncratic. A contemplative mood sets the scene for gentle off-kilter palpitations. Blonde Galipette settles into the groove, with plenty of delay on rhythmic elements as a robotic interpretation of lonely shipyard sounds, and a growing tide of bass. Mine Has A Shower is a wink to the adopted spaces and unlikely comrades of an island dedicated to music; while All The Good Stuff is a tongue in cheek salute, referencing the tales told to new friends in the deepest hours of the morning. You can tell that tINI had fun making this music and that it has unfolded, as a testament to her experiences. She says, For me a song is like my very own diary. My way to express my feelings in that very moment: from absolute joy to deepest melancholy. Tracks like My Shine, Canta la Testoasa and Maria, Louise and Bert bolster the album with relaxed dancefloor vibes, while Triptease veers slightly closer to a boompty house pattern. tINI Meets Jack Medusa brings an uplifting snap, Monkeys Cave simmers and Fail Better unspools some compelling minimal house vibes. Lastly, on Someone Loves You, tINIs debut Ibiza season wraps to a close with that same contemplative mood. I put these feelings and friends vocals from that time into my songs: reworking my old (heartache) songs, I cleaned my inside up.